Pyroplex are exhibiting at Tüyak 2017, the 5th biannual ‘’International Exhibition and Symposium on Fire and Safety‘’ held at Cevahir Hotel Convention Centre, Istanbul, Turkey on 9th-10th November 2017. The symposium is a platform where scientific and technological developments in the field of Fire and Safety are discussed and the experiences of designers, implementers, researchers and managers are shared. Manufacturers in the “Fire and Safety” industry will introduce their technological developments and display their new products and systems. 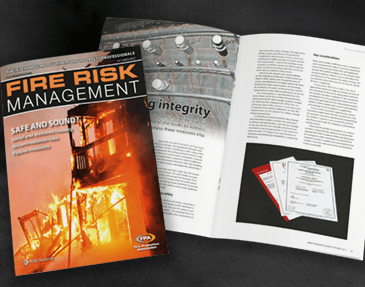 Pyroplex will showcase its Fire Stopping products, manufactured to reinstate the fire resistance of a wall or floor using the unique Pyroplex intumescent formulation. Pyroplex® Fire Stopping products are used in construction projects to prevent the passage of fire and hot gases from one compartment to another. 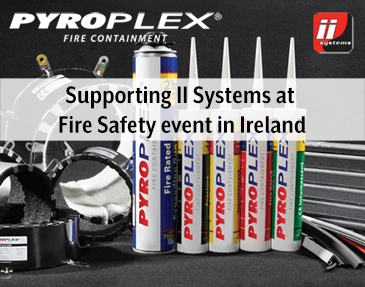 Pyroplex is also supporting its Fire Seals distribution partner – Okal, at the event. Okal specialise in intumescent sealing systems offering a range of Pyroplex seals for use with timber, metal and composite fire doors in addition to products for fire glazing. Melanie Alaran, Central European Export Sales Manager will be available on the Pyroplex stand to discuss any specific requirements visitors may have. Andy Walsh, Technical Manager will also be present, offering technical expertise, drawing on his 30+ years of experience in the fire containment industry.